A scanner series for all areas of application in healthcare: the Honeywell SG20 offers the necessary flexibility to equip an entire hospital with tailored scanning hardware. The integrated area imager scan engine ensures for highly professional capturing of all 1D and 2D barcodes – omni-directionally and quickly. According to the assignment and work area, choose between the wired variants for stationary usage and the wireless Bluetooth variants. The latter offers greater handling flexibility and a range of movement up to 10 m from the base. Regular cleanings with harsh disinfectants are not a problem for the SG20 HC, thanks to their special cleanser-resistant housing. The scanners sit well in your hand, are protected against falls from medium heights and offer a warranty of three (Bluetooth models) or five years (wired models). 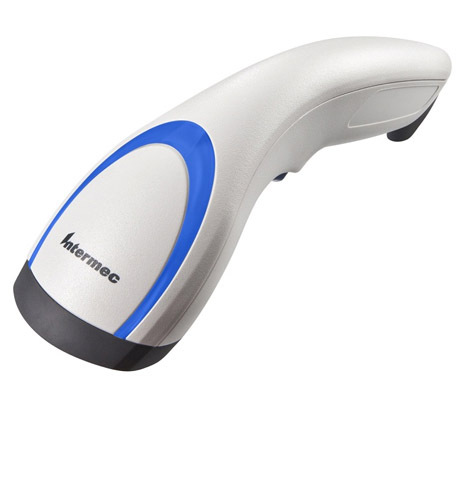 In order to increase scanning process efficiency, the SG20 features a particularly large LED good scan confirmation, as well as a switchable beeper. Use the optional stand and wall mounts for applications in which both hands are needed.